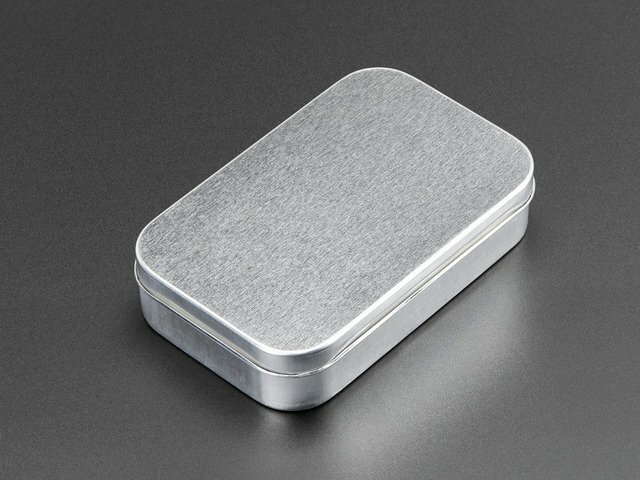 Introducing the MENTA, a portable minty Arduino-compatible project that fits into a common mint tin. We took our super popular Boarduino series, and wrapped it with a prototyping area into a rounded PCB that slots directly into an Altoids-sized metal tin. We included everything you expect to jump-start your project: a DC power adapter with polarity protection, beefy 1 Amp 5V regulator and 250mA 3.3V regulator for 3.3V devices, green power LED, red blinky LED, ISP-6 standard reprogramming header, FTDI interface plug to connect an FTDI Friend or cable and female header so you can plug standard Arduino-compatible shields in. There's four mounting holes if you want to attach it permanently to a box or plate, and a massive prototyping area so you can have the finished project all fit together in a protective box. Comes as a kit of parts, this is an excellent beginner project, with step-by-step instructions even for someone who has never soldered before. This guide was first published on Jul 31, 2013. It was last updated on Jul 31, 2013. This page (Overview) was last updated on Apr 25, 2019.